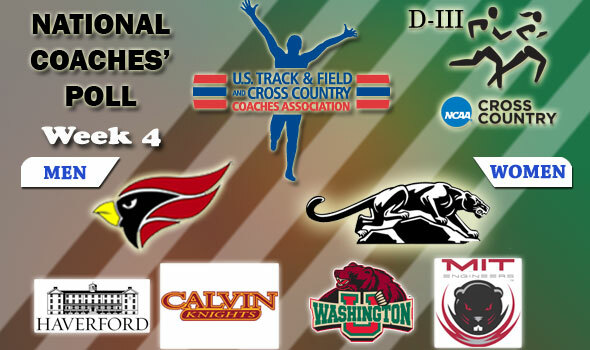 NEW ORLEANS – The U.S. Track & Field and Cross Country Coaches Association (USTFCCCA) announced on Wednesday the week four results of the national cross country coaches’ poll for NCAA Division III. North Central’s men and Middlebury’s women remain the No. 1 teams in the country according to the nation’s coaches. Others Receiving Votes: Willamette 16, Loras 6, UW-Stout 3, Rowan 2, UW-Eau Claire 1. Others Receiving Votes: St. Thomas (Minn.) 8, Rhodes 7, TCNJ 5, Wartburg 2.